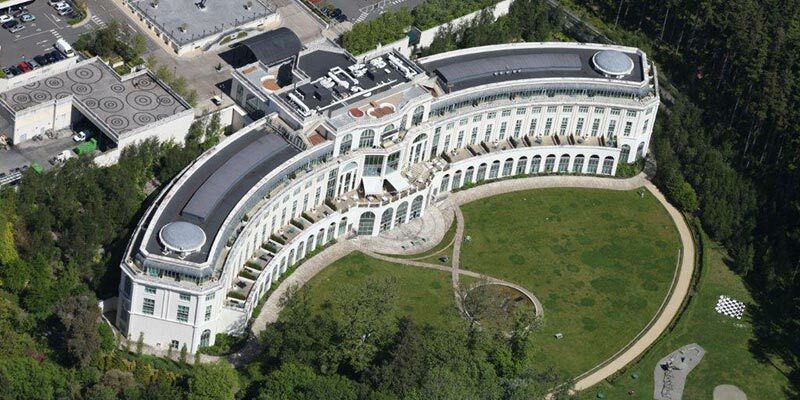 The five-star Powerscourt Hotel is one of Ireland’s most iconic and prestigious luxury resorts and so the design and implementation of the refurbishment project for their roofing had to be of the highest quality using only the best materials. Along with an extensive Health and Safety plan there were aesthetic considerations as the hotel would remain functioning while the work was being carried out. Hence deliveries and removals had to be co-ordinated and carried out. We installed a Paralon bituminous felt built up system which ensured a higher degree of durability against wear and adverse weather conditions as well as leaking.